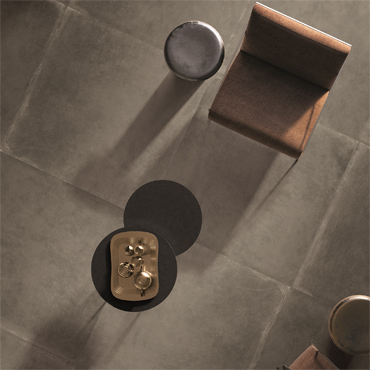 Solignano, 4 April 2019 - At Coverings 2019, the most important US exhibition for the ceramic tile industry to be held in Orlando, Florida from 9 to 14 April, Ariana is showcasing the most sophisticated and original types of stone, contemporary design solutions that recreate the informal elegance of natural surfaces. Showcased in the Italian pavilion, Hall B3 Booth #1734, the Storm and Epoque collections mark the culmination of Ariana's innovative research efforts. 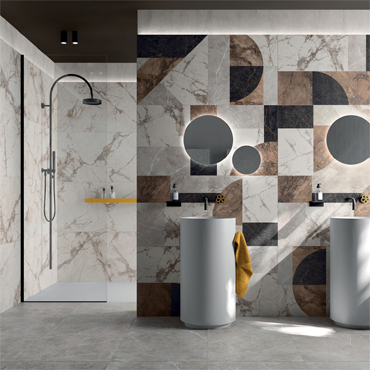 STORM is an original material inspired by Pulpis marble that combines the strength and solidity of the original stone with cutting-edge technology. It stands out for its contrasting vein effects and a lightly textured surface that enhances its material appeal. The collection stands out for its exceptional aesthetic potential and is produced in a wide range of modular sizes based on a 120x120 cm format. It comes in four colours, from the darkest Mud shade inspired by the eponymous natural material through to more neutral Grey, Sand and White tones designed to give a distinctive personality to interiors and exteriors in both residential and public spaces. In this journey of discovery through the rarest and most precious varieties of marble, Ariana's EPOQUE collection reveals surfaces with a distinctive heritage look. 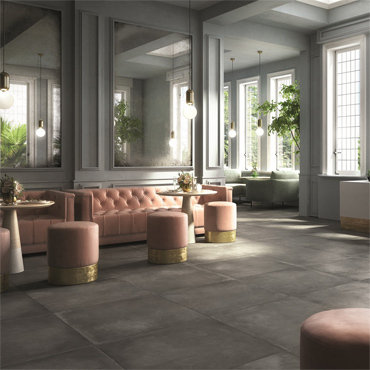 EPOQUE combines the unrivalled technical qualities of latest-generation porcelain with the timeless beauty of stone and is ideal both for new projects and for renovations. It comes in a range of 6 colours, two finishes and various rectified and pressed sizes.